Customers look for brands that can provide them great services that can make them feel special. The salon industry is growing at a very fast pace. There is no dearth of choices for the customers as the market is full of brands but what differentiates the best brands from the others is the quality of services. Customers expect the best for themselves and if a brand is able to meet their expectations, they can gain a strong client base. It doesn’t matter how much funds were invested in a salon to run it, what really matters is the quality of services they are providing their customers. Any brand can open up a salon but if they are not able to establish a difference among other brands, their game is already over. Truefitt and hill have been providing the best luxurious services to its clients which have made them happier and contended. The quality of services that the brand has is impeccable. It has not only made the name known in the salon industry but has also helped them grow and expand themselves. 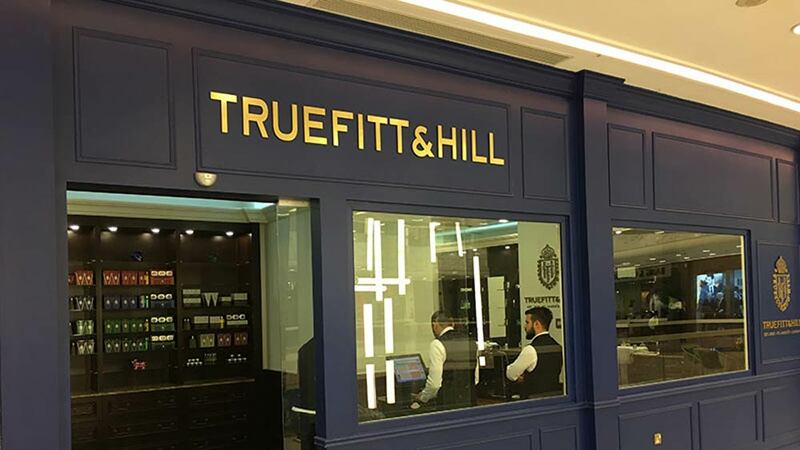 “Truefitt and Hill is the first high-end international barber shop in India. At present we have 12 stores PAN India. By the end of this year we plan to open 4 more stores. The new cities that we will be opening new stores are Pune, Kolkatta, Jaipur and Dhaka, Bangladesh. We will also be opening more stores in Mumbai, Delhi & Bangalore. We have rights for Sri Lanka, Bangladesh, Vietnam, Myanmar, Nepal and Bhutan,” says Istayak Ansari, Director and Co-Founder, Truefitt and Hill. “What differentiates us from the rest of the operators is the experience we offer. We treat every customer like a royalty. For e.g. our Royal Shave is 45min service which has mini facial and massage. It is an experience in itself,” he adds. Deeper market penetration has been the reason that has attracted the brand towards franchising. Truefitt and Hill has been a brand that focuses on providing a smooth experience to its customers. Franchising has helped them in the expansion of their brand and has brought growth for them. Truefitt and Hill started franchising in 2016 and the reason that attracted them towards it was deeper market penetration. The brand currently has 10 company-owned outlets and 2 franchise stores. They are looking forward to opening 3 company-owned outlets in Pune, Kolkata and Jaipur and 1 franchise store in Dhaka, Bangladesh. Truefitt and Hill is also planning to expand internationally with 2 outlets in Sri Lanka and Vietnam. Investment required - The total investment is Rs. 100 lakhs approx for a 1000 sq. ft. store. Area required- Min. 1000 sq. Ft.
Expected RoI- The payback is three to four years. The business does not require a major infusion of capital towards CAPEX over a period of 10 years. Preferred cities & location- J & K, Delhi, Haryana, Punjab, Uttar Pradesh, Uttarakhand, Rajasthan and many more.